Why should you clear cookie? Advertisement companies embed cookies in your browser through which they can identify your habits of surfing the internet and they can show ad relevant to you. However this is not a threat to you, but some cookies can compromise your privacy. Here is the best way to clear cookie on Google Chrome. If you are not a chrome user follow this: How to Clear Cookies from on Safari, IE, and Firefox or to Turn on Cookies follow this. 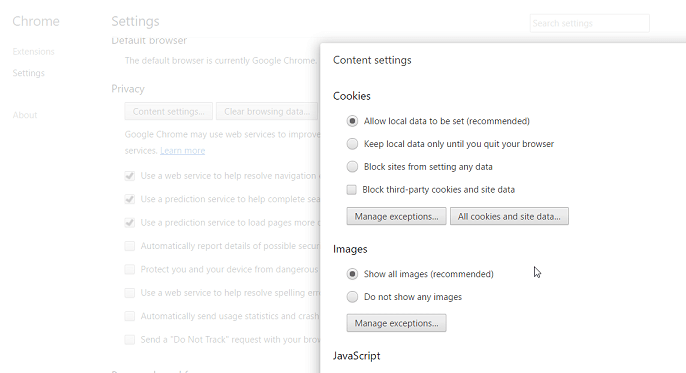 The quick answer to remove cookies in Chrome Browser. Under Privacy, click on Content setting. Click Remove all at the top right. Step 3. Click on the tab titled, “Content settings”. This should show you a window filled with a lot of subsections. Do not change any setting you’re not sure of. Step 4. 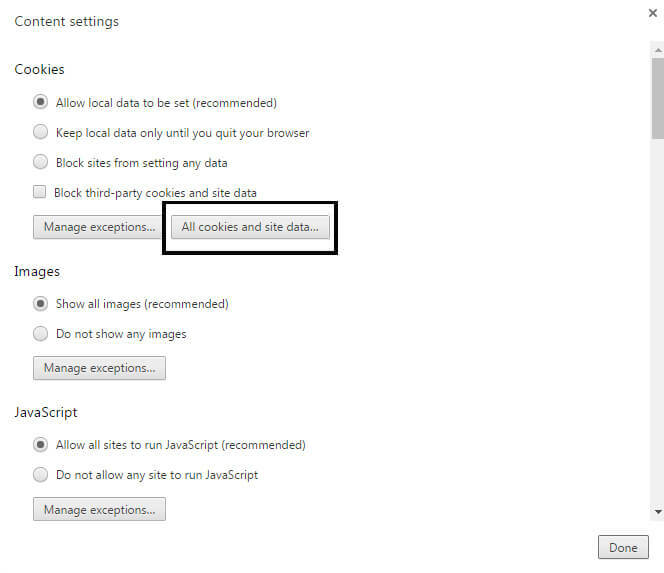 Go to the section titled “Cookies” and click “Block sites from setting any data” to disable all types of cookies. Also, click on “Block third-party cookies and site data”. This will completely disable the option of having cookies on your system. Step 5. Click on “All cookies and site data”. Here you can choose to delete previously stored cookies of different websites or choose to delete them all. Click on “Done” when you’re done. If you still figure out how to clear Cookies on Chrome or you found a better idea, please share us in comments.